Save 59% on these classics! 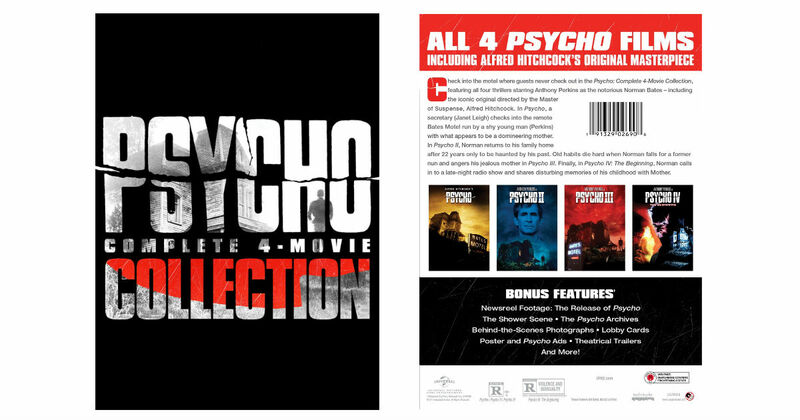 Get the classic Psycho Complete 4-Movie Collection for only $10.99, regularly $26.98. Featuring all four thrillers starring Anthony Perkins as the notorious Norman Bates – including the iconic original directed by the Master of Suspense, Alfred Hitchcock.